The Mount Pocono Motel, a Magnuson Hotels affiliate, is located 1200 feet mountaintop in beautiful Mount Pocono, PA. 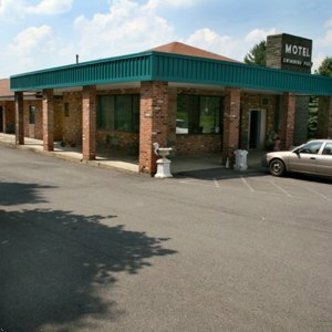 The Mount Pocono Motel provides a quiet and secluded location while being just minutes away from area attraction. Within 10 miles are Camel Back Beach Waterpark and Ski Resort, Alpine Golf, Lake Wallen, Delaware Water Gap, and Crossing Shopping Outlet Stores. We are also close to all area businesses including Aventis Pharmaceuticals, Pocono Industrial Park, and the Army Depot.